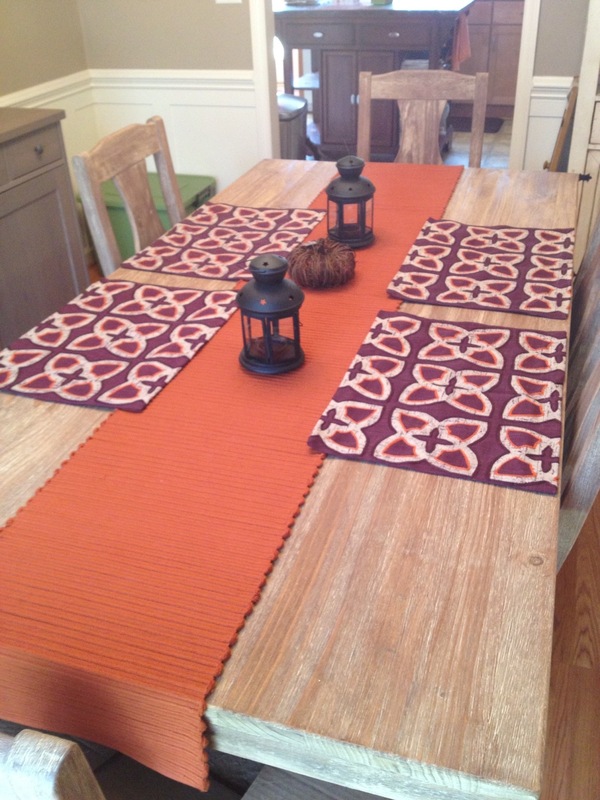 Amazingly the dining room is the only room ready for fall. Well except for my centerpiece on the kitchen table. We will get to that tomorrow though. While we were honeymooning in Maine we stopped at the Crate and Barrel outlet in Kittery. It was really fun. They had some gorgeous stuff at amazing prices. So without further adieu here is the table! This is basically how my fall table will stay until I decorate for winter. The only things I will change will be to add some pumpkins and a couple turkey statues closer to thanksgiving. 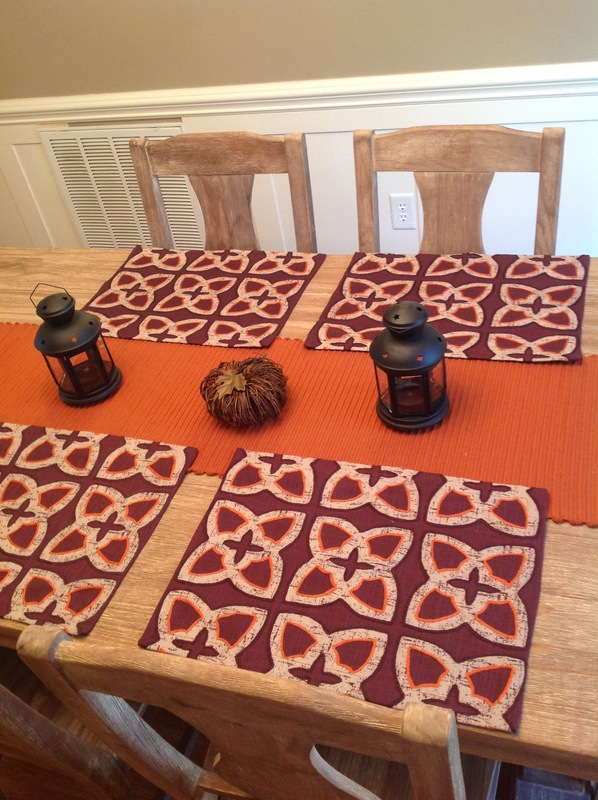 How do you decorate your table for fall?